The Islands of Indonesia are truly special, strewn across the coral-rich waters of Southeast Asia, Indonesia is made up of over 17,000 Islands. The Indonesian people are a mixture of many different cultures and religions. Indonesia was inhabited since around 40,000 years ago when the sea level was lower and the Islands were linked to the mainland via a land bridge. At the end of the last ice age around 10,000 BCE new inhabitants arrived and around 2,500 BCE they started growing crops including bananas and rice. Earlier than many parts of Southeast Asia Indonesia started using iron around 700 BCE and trading eventually starting with China and India from 400 BCE giving the rise to Hinduism and Buddhism. Indonesia flourished and between the 8th and 13th century kingdoms began to appear with the kingdom of Sriwijaya (South Sumatra) even controlling part of mainland Malay for a brief time before breaking up into separate states. Islam soon found roots brought by Indian merchants spreading through Indonesia. For a while Hinduism also flourished in the Majapaphit Empire although this empire quickly declined. Borobudur was built in the 9th Century and is known as one of the world’s greatest Buddhist Temples. Famous for its stone-carved panels depicting the life and teachings of Buddha, it was lost to the world and abandoned with the rise of Islam until it was rediscovered in the 19th century and restored with the help of the US. The Portuguese arrived in the early 16th century and decided to seize Moluccas with their aim to control and ship spices to Europe where there was a huge demand. The Dutch arrived and soon took over from the Portuguese by the 17th century the extended their power to Java and Moluccas. A war resulted in the early 19th century between the Dutch and the British and soon the British captured all of Dutch territory. The British abolished slavery but then decided to hand back Indonesia to the Dutch. Several wars ensued between the Dutch and Indonesia until 1906 when the majority of Indonesia came under Dutch control. The Indonesians were exploited and forced to use part of their land to grow crops for the Dutch for export. This continued till the early 20th century when they decided to build schools and aid in development the result was a few educated Indonesians who learned about freedom and nationalism, the result was a push for independence. During the Second World War the Dutch surrendered to the Japanese in Indonesia in the spring of 1942. After the end of the war the Indonesian quickly declared independence fearing a return of the Dutch. The Dutch reluctant to lose Indonesia quickly sent troops to Indonesia. The Dutch signed an agreement with Indonesia recognising Indonesia as a republic only in Java and Sumatra, they claimed the rest of Indonesia. The Dutch tried to retake Indonesia in 1948 but failed and facing strong international condemnation and a guerrilla war they finally gave Indonesia independence and withdrew in December 1949. Indonesia has now come through a long period of Political instability and is now a rapidly growing economy with plenty of resources and a great future ahead of it. The population of Indonesia is now 248 million. Indonesia has a varied past giving rise to a number of exquisite and vibrant cultures making it truly diverse. Most Indonesians are from mainland Malaya or Polynesia, Indonesia is primarily a Muslim nation but other religions are also present. Hinduism thrives on Bali, and Christianity has a significant presence on Flores, Timor, and several other islands. Indonesians also speak several languages and dialects, but the common language is Bahasa Indonesia. English and Dutch are also widely spoken. The fisherman gives thanks to the sea for what have been caught by them throughout the year. Chinese New Year is a big event in the Malay Calendar. In this festival a tribute is paid by the Indonesians to their ascendants. A celebration observed by Buddhists in many countries including Malaysia. It is sometimes called “Buddha’s birthday”. On the day itself, devotees are encouraged to assemble in their respective temples. Activities such as the hoisting of the Buddhist flag, offerings of flowers, candles and joss-sticks, etc will be carried out. Devotees are also encouraged to make a special effort not to take any life and to take vegetarian food during this day. Expect to see colourful processions and decorations, and plenty of devotees in temples. This annual event takes place in September. This festival goes on for one full month. Exhibitions, cultural programs, contests, etc. are arranged at the time of this festival. This festival is a low budget festival. People from all over the country come in this festival. 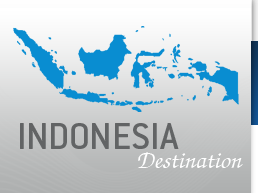 Tourists from the UK among many other nations are not required to obtain a Visa prior to arrival in Indonesia; a visa can be arranged on arrival for around $25 USD for a 30 Day Visa. The healthcare in the main urban areas is good but for any urgent medical treatment it may be wise to consider flying to Singapore. Please consult your doctor about the inoculations and anti-malaria precautions required for Thailand. In general cover against polio, rabies, cholera, typhoid, tetanus, malaria, hepatitis A and meningitis is recommended (though not mandatory). Indonesian Currency is the rupiah - The local currency of Indonesia is Rupiah (Rp) and 1Rp = 100 sen. Bills come in denominations of Rp 100, 500, 1000, 5000, 10,000, 20,000, 50,000 and 1,00,000 with coins also available in denominations of Rp 5, 10, 25, 50 and 100. Foreign currencies, either banknotes or travellers cheques, are easily exchanged at banks and moneychangers in major tourist destinations. Credit cards are accepted at most hotels and restaurants in main cities. It is advisable to carry sufficient amounts of Rupiah when travelling to smaller towns or outer provinces. Electricity in Indonesia is 220 volts; this means for those arriving from the UK you will not need a Voltage adapter. You will probably need an adapter as most plugs in Indonesia have2 prongs missing the third grounding / earthing prong. Tipping is generally not expected in Indonesia. In some upper class restaurants or accommodations they will directly charge you with a 10% service charge, you should clearly see that on the bill. Feel free to leave a tip for good service of between 5-10 %, it is of course up to you and dependant on the service received. Guides are usually tipped $10-15 USD/day, and drivers about $5-10 again all dependant on the level of service received. If you don’t want to use roaming take a spare old phone sim cards are cheap in Indonesia and you can use them instead of being charged international roaming rates!